Running is the full-body exercise that burns the most fat and provides the most benefit to our bodies. Unfortunately, the strenuous exercise is also not too great on the joints, and if we’re not careful, we can do lasting damage when we’re running. Luckily, when we run, we can utilize a knee brace, so that the strain is reduced on our knees and we can run with confidence. If you love to run, either to keep in shape or to train for an event, you should utilize a knee brace for support. Knee braces come in a variety of types and designs, with each providing the same rough benefit to your knees: support. If you’ve ever had an achy or sore knee, you definitely understand how stressful and painful it can be as well as how much it can hinder your running. Let’s take a look at a couple of underlying causes for this type of pain. The primary causes of this pain are patellar tendonitis, chondromalacia, patellofemoral pain syndrome, and IT Band friction syndrome. While many of these are different conditions, many are simply referred to as runner’s knee. Each of these unique conditions can vary in intensity and cause, but each can directly be lessened through the use of a knee brace. Knee braces can come in a plethora of types. Each has its own benefit and the experience can vary from user to user. Let’s take a look at a couple of different types of knee brace for running. 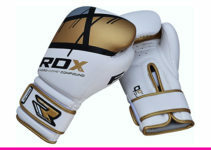 Straps: These are designed to wrap around the base of the knee and apply pressure to the tendon. 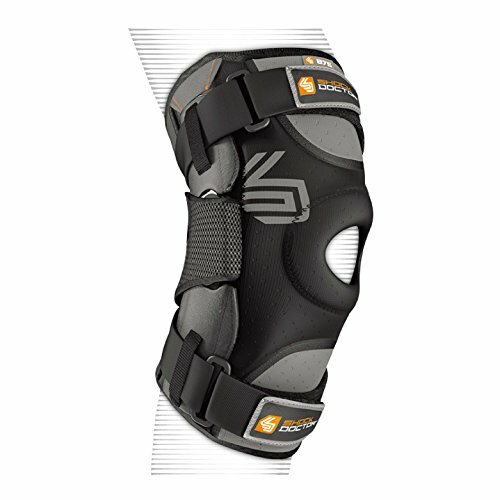 These types of knee braces are designed to evenly spread pressure around the knee and reduce the stress on the patellar tendon. In addition to this function, this type does a great job of providing a proprioceptive effect; it effectively lets your brain know that your muscles around the knee should be ready for physical exertion. Tape: This is the simplest method of wrapping up your knee for running support. Kinesiotape (K tape) is the primary tape product used by some runners to wrap up their knees before a race. K tape was developed in Japan and is designed to actually lift the skin, which promotes better muscle, joint, and fascia function. Unfortunately, to apply this tape properly, you should consult a health professional. These are the most common type and also the style that we’ll be tackling in our review section. These are widely considered the best knee braces for running. They simply wrap around your knee and provide a full range of support for the underlying muscles and bones of the knee. They can feature a hole for the patella (knee cap) or fully wrap your knee. Gel is being used in a lot of different ways in today’s world. Pro-Tec’s knee brace uses a gel mixture to provide the correct levels of support and comfort to the wearer’s knee. The gel rests directly on the patella (kneecap) and provides a soft, plush feeling to the skin while also placing pressure on the bone. The result is a great feeling of comfort for the knee that is augmented by the four way stretch material that Pro-Tec used as a main material for this brace.This brace also has great coverage, it extends from the bottom of the thigh all the way to the top of your shin; ensuring that your relevant muscles receive all of the support that they need. With this unique fabric, there is no chaffing or rubbing of the skin. 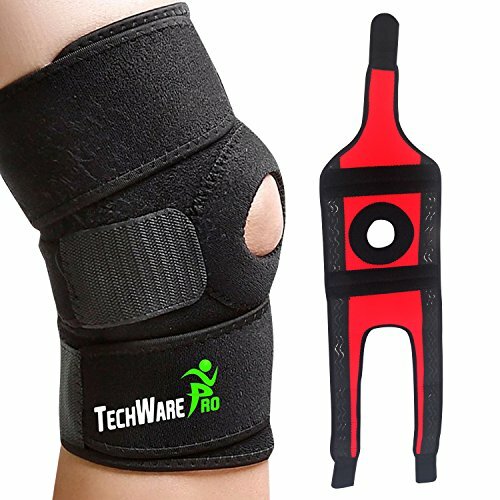 Tech Ware’s pro knee brace support provides all of the pressure that you need in order to reduce knee pain when engaging in physical activity. 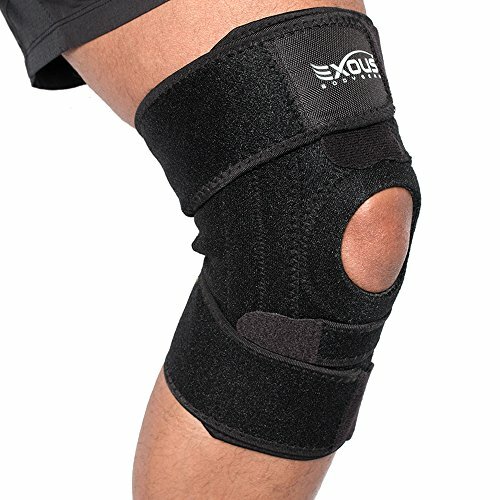 The first thing you’ll notice is that this brace has a patella opening that surrounds your knee in a supportive material, which keeps it from being strained while exerting yourself. The result is a fully compressed knee that will let you jog for miles without discomfort. To put it on, all you have to do is secure the Velcro straps, and the neoprene material will surround your knee comfortably. The neoprene is also moisture wicking, which is perfect for helping you stay dry on your morning jogs. Sometimes the simplest designs can yield the most benefit. This Fitoby knee brace features a great unibody design that is crafted to fully support your knee through compressing and supporting its underlying organs and structures. While this product doesn’t feature direct patella support, it does provide universal pressure to your knee area, which is perfect for the fascia, muscles, and joints. An added benefit of this brace is the fact that it is comprised of neoprene. Latex braces aren’t great for allergy sufferers and are sweaty. This style, on the other hand, will allow your skin to breath and will also wick away moisture. In addition to this, the seams are also very small, which helps reduce chaffing. In general design, the Exodus Bodygear has a lot in common with our 2nd product, the Tech Ware Pro. It features a similar patella support system that is designed to surround and add compression to your kneecap, and it is also secured in a similar fashion. This product differs in the fact that it has a comfort gap at the rear of the knee. This gap is designed to enable more bending movement while your exercise and to add a degree of comfort and ease to your workout. Sometimes, with these types of braces, the rear material can bunch up, causing irritation; this gap helps prevent this irritation and also provide a source of moisture wicking that is combined with its neoprene construction. This all-encompassing knee brace is designed to provide a full range of support for your knees and your joints. Its design was crafted to increase blood flow in the covered area, which helps reduce recovery time and reduces inflammation as well. 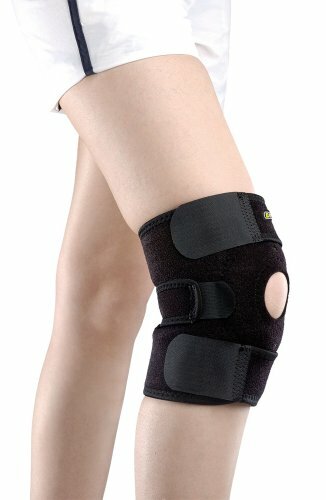 Rather than use a Velcro strap method, this brace just slides directly onto the knee, which in turn makes it very easy to put on. If you find yourself struggling with getting ready to run, this might be the knee brace for your needs. In addition to these benefits, this Crescendo product also provides a warming sensation, so that if you intend to continue your workout into the winter months, you can still protect your knees. 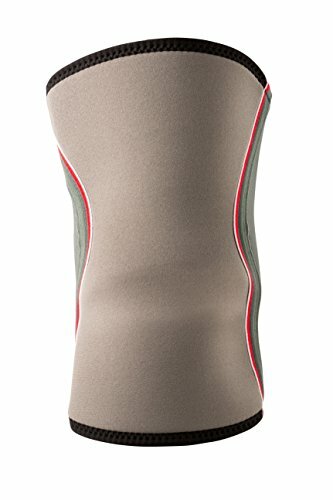 As another neoprene patella supporting product, this Bracoo breathable is a great addition to your workout regimen. Putting it on your knee is easy; simply un-strap the Velcro in the middle (surrounding the patella opening), place it over your knee, secure the Velcro straps, and you’ll be ready to go. 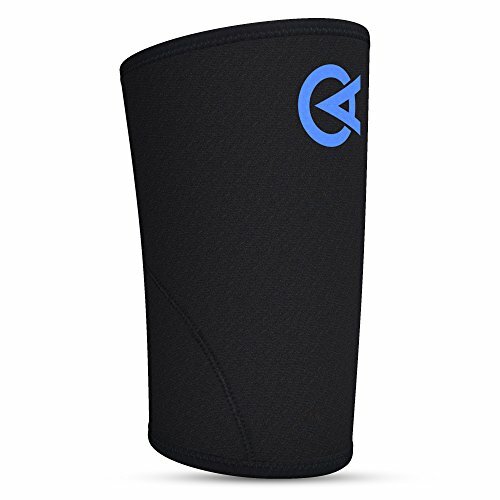 This support sleeve is a bit smaller and primarily targets knee support, but with the additional support for your ACL, PCL, LCL, and MCL ligaments, you’ll see that this is a very well-rounded fitness support device. The brace is designed to fit most knees that are smaller than 18 inches in circumference. 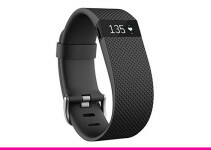 On top of all of this, this brace is very inexpensive for its great features. Ace bandages have been providing important support for generations. This Ace knee brace continues this tradition by supporting knees that have been injured or prone to be injured during jogging or exercising. 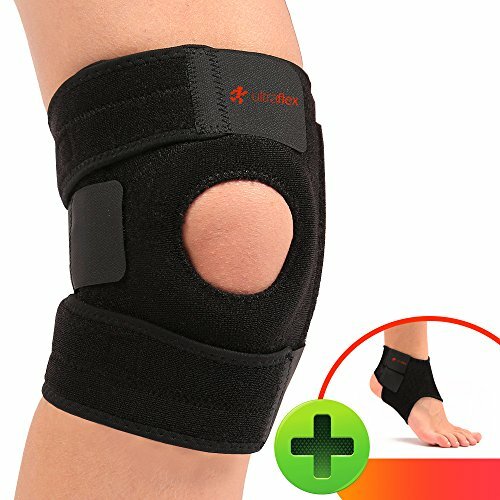 What makes these braces unique is the dual side stabilizers that help keep your knee in the appropriate, most stable position while you workout. The result is an improved gait, muscles that have a better blood flow, and a kneecap that is supported and pain-free. This utilizes a patella support system that lets your knee breathe while simultaneously providing compression to the area. 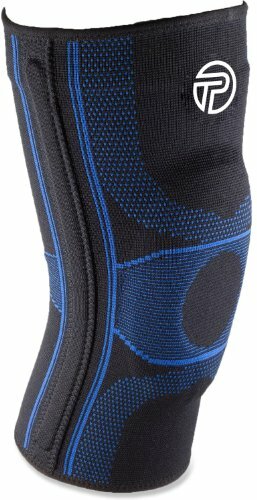 In addition to this support system, Ace designed this knee brace to be breathable and odor-resistant. As a full-fledged compression sleeve, this product from Ultra Flex Athletics is designed to not only support your knee, but to also reduce the inflammation and swelling that can occur during a long run. It fully enshrouds the knee area so that you can go about your exercise without worrying about pain in the area. Unlike many of the neoprene products on our list, this knee brace is made of non-slip silicone; a material that is flexible, yet tight enough to provide a great level of support. With its tight form factor, this brace also provides great warmth, so when it gets cold, you’ll be able to run like normal. 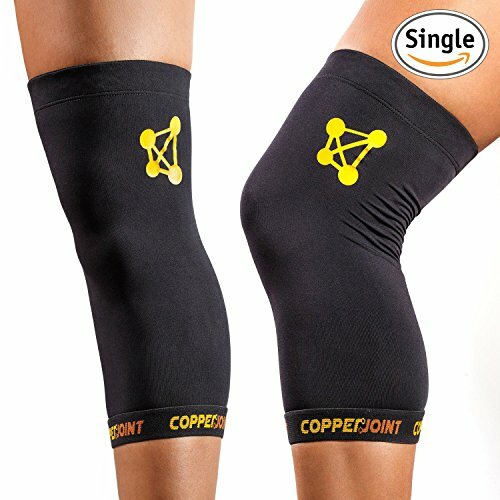 The CopperJoint knee brace is becoming one of the most popular products of its type. Designed as a full-on compression sleeve, this device covers the large area around your knee as well; reaching from the bottommost portion of your thigh all the way down to cover the entire calf muscle. This knee brace uses an active copper system to infuse this metal into the brace’s nylon material. This copper infused material becomes odor resistant and keeps your joints at their optimal thermal temperature, which helps add value to your workouts. If your knees need the optimal level of support during your workouts, look no further. The Shock Doctor Ultra has several different features for full knee support. These include, a patella supporting structure in the front that adds pressure to the kneecap. This brace also has bilateral support hinges for knee stability. Finally, for full compression, this product also has a three level Velcro strap system that provides pressure across your entire knee, which will result in heightened blood flow and optimal internal temperatures.